A new way for advanced and multi-location retailers to accept payments with Square. 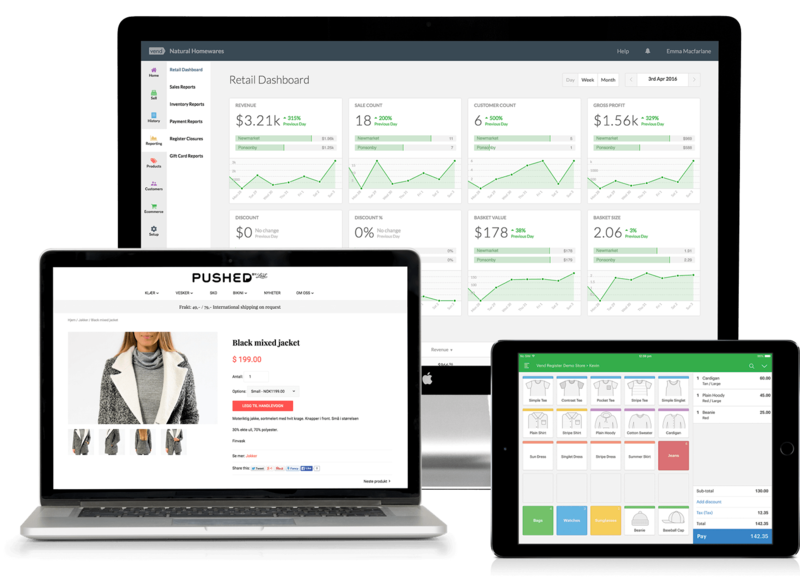 Vend POS is designed for retailers who sell inventory. Track your margins and stock levels everywhere, instantly, and automate re-ordering. Centrally manage all your locations and sales channels in real time, from any device, including products, customers and staff. Accept magstripe, chip cards, and NFC payments like Apple Pay with Square. Take payments at the counter, at the table, or on the go. Pay the same rate for all major credit cards and see deposits in your bank account in 1 to 2 business days. Create a seamless customer experience on every sales channel, with effortless management of products and prices from any connected device. Scale at the click of a button by adding products, staff and stores, or connect to other business apps like Xero, Quickbooks, Shopify and more. Accept more payments and get paid faster with Square. Square and Vend integrate seamlessly. Get your iPad and Square hardware, download the Vend app, and select Square as your payment processor at sign-up. Square’s knowledgeable support team are standing by to help you succeed. Square also monitors data to send predictive alerts when we know something’s wrong, so you can stay one step ahead. 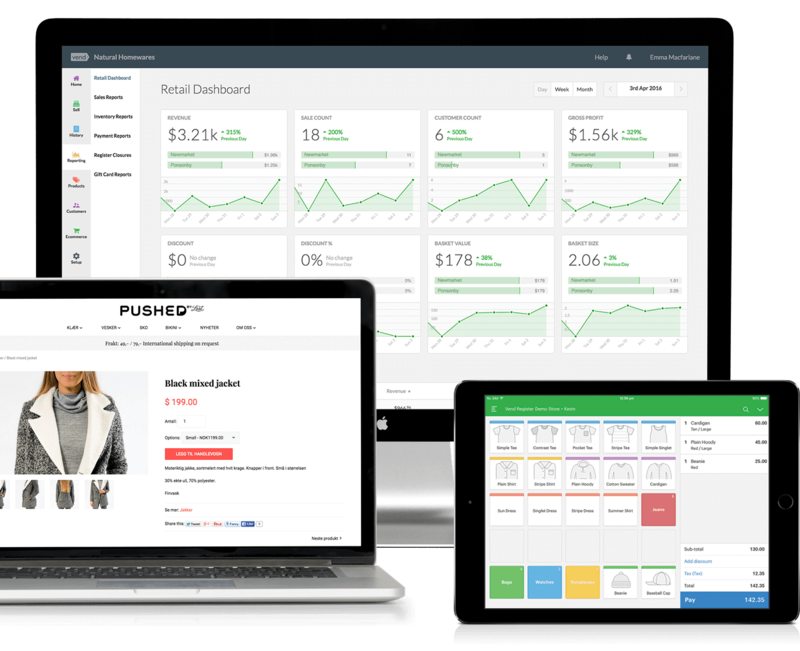 Get started with Vend and Square in three easy steps. Start your free 14 day trial and follow the online setup. Use your current Square account or create a new one. 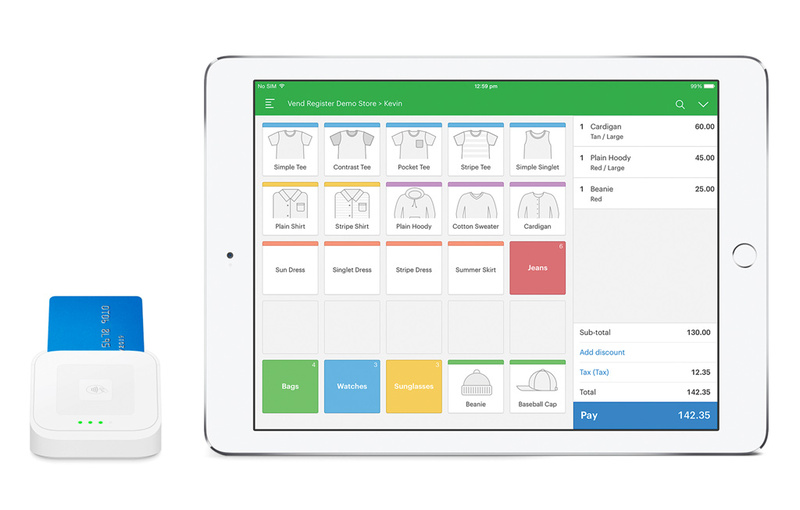 Then download the Square Register iPad app and order your Square hardware to start accepting payments.